You can update your credit card information at any time in the Account Center. 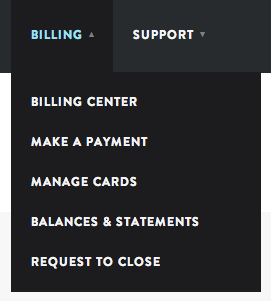 From the Overview page hover over the Billing tab, click on Manage Cards. Your credit card(s) on file are listed on this screen. 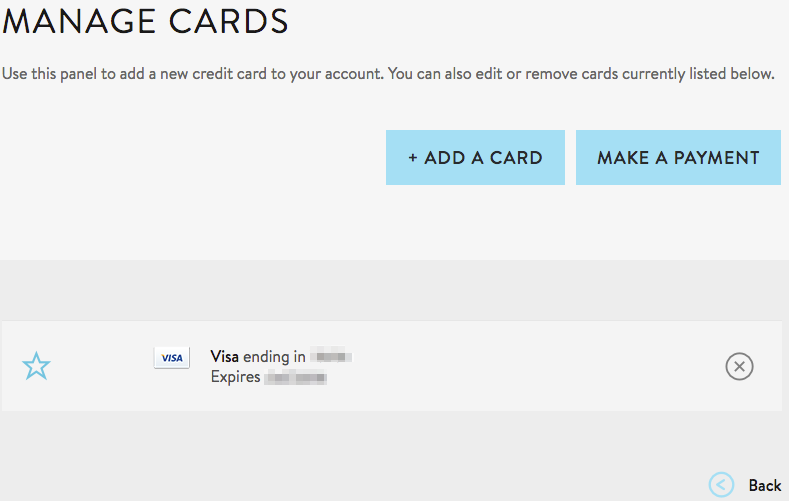 The blue star to the left of your card info indicates the primary billing card. For your security, it is not possible to directly edit your credit or debit card info. To update a card on file, you must add it as a new card. Card Number: Enter your full credit card number. CVV/Security Code: Enter the code, see Figure 4 for the location of this code on your card. Expiration: : Select the month and year from respective drop-down menus. Name on Card: Enter the full name as it appears on your card. Card Billing Address: You only need to enter the street address. City, state, province or country are unnecessary in this field. Card Postal Code: Enter the zip code here. Country: Enter the country here. Make Primary: Be sure this box is checked for automatic billing.